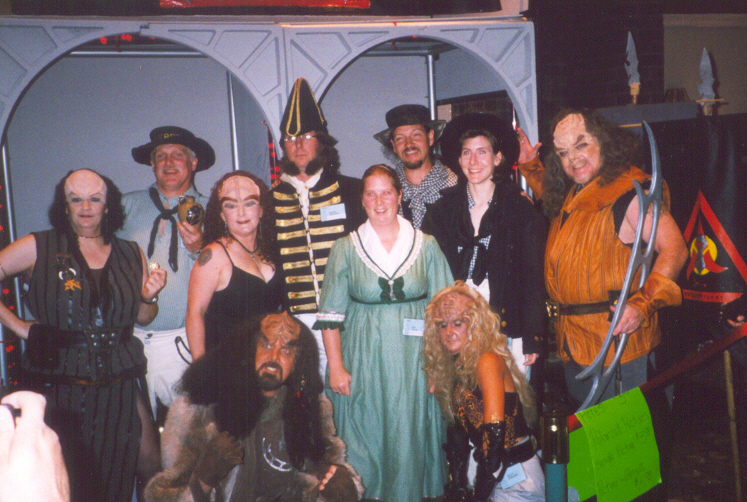 A Group of Costumed Convention Attendees pose in front of the Klingon Jail. 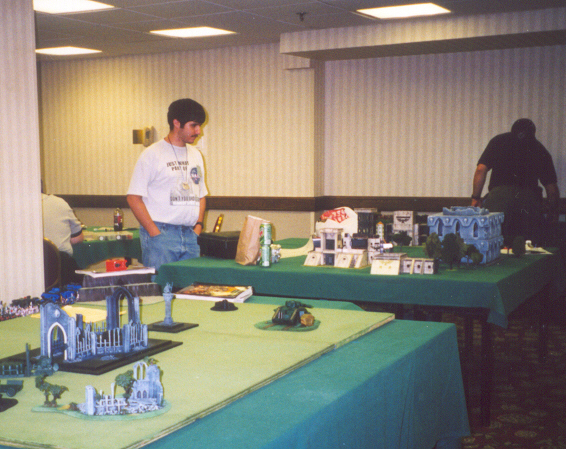 Almost anything was available in the Game Room from strategy games to RPGs and card games of every stripe. 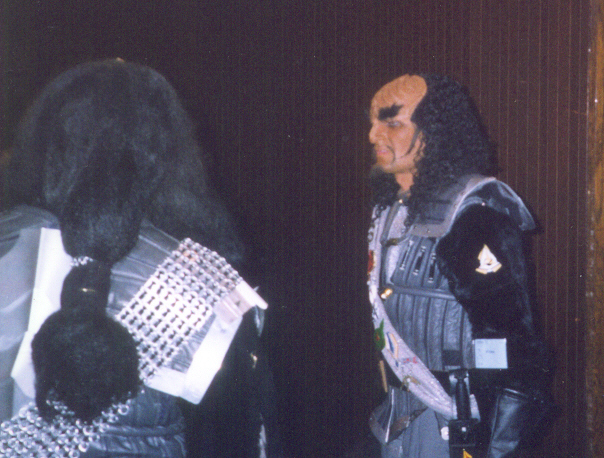 Some of the costumes were so authentic they could make you nervous. Above and Below. 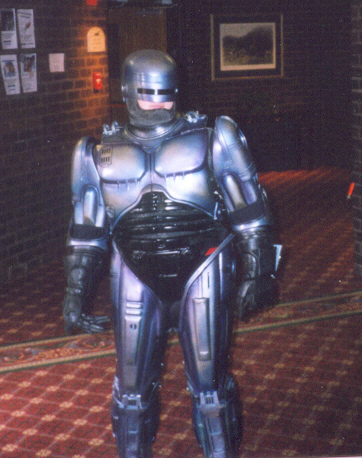 Under the armor was a teenage girl with a great sense of humor. 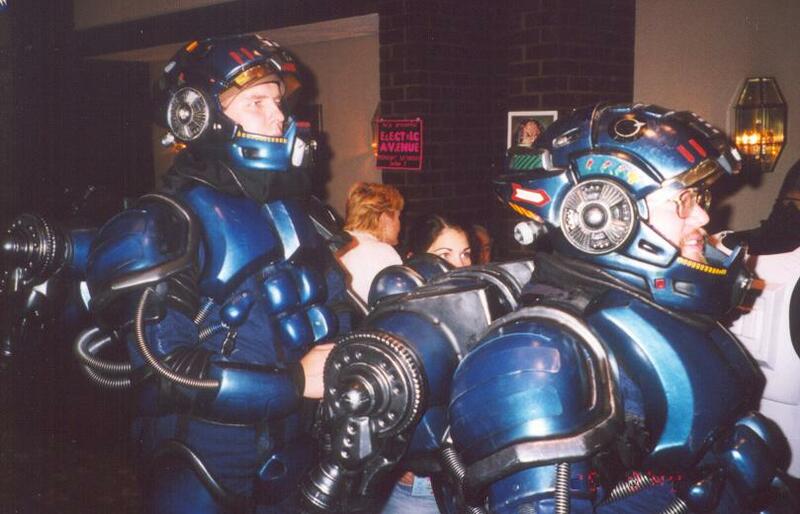 Designed, cast, wired, and built by Mr. Healy (right).